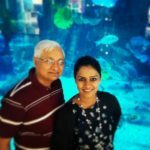 Today is a very exciting day with two celebrations on the blog, Fathers Day and International Yoga Day. Last night, I got a message from a friend that an organisation she is a part of is doing a ‘Yoga Mediation Walk’ in Aarey today. I made up my mind that this would be a perfect way for me to be a part of the ‘International Yoga Day’ and the walk in the beautiful Aarey sounded very relaxing. 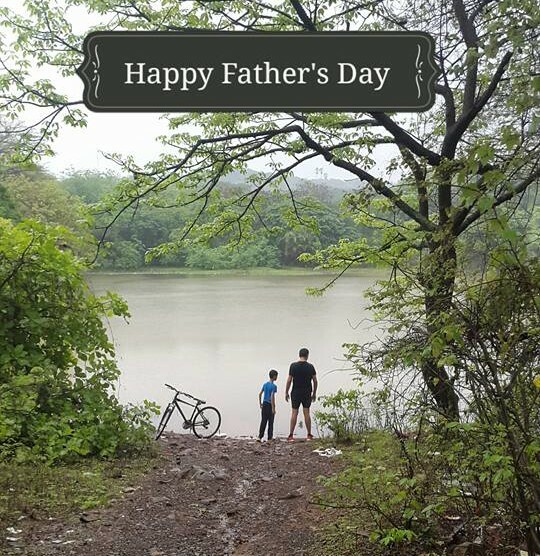 While we were walking towards our destination today, I happen to see this father-son duo gazing at the lake that has popped up in Aarey due to all the rains that have been flooding Mumbai. Somehow, it couldn’t be more perfect for me. 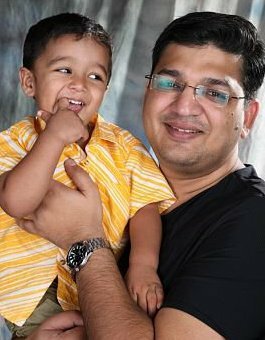 He had come to Aarey with his son, who wanted to cycle. He did this on a rainy Sunday morning when most of us would cuddle in the bed. While his son cycled, he ran along with him and combined it to his fitness routine. I don’t know who they were, but they were my role models for the day. There, that’s how my two celebrations got blended. I went looking for Yoga and got a splendid Father’s Day Portrayal. I know most men don’t read my blogs as they feel my writing is women centric. So I am trying to change something today, and today is going to be about fathers. 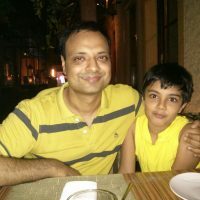 I sent out a few questions to some fathers , to understand their views on life, kids, parenthood in general. Here is what I got back 🙂 from some of them, some didn’t find the time to reply…ahhhh…men!!! It’s still my blog, you see ..and I can crib :)!! 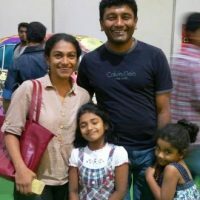 Madhusudan Rajgopalan, is a dad to two beautiful daughters. Do you feel dad’s get less credit for all that they do? At one level, as parents, I don’t understand the point of getting or not getting credit. How does it really matter? Parents are responsible for their children and they do what they have to, and to the best extent they can. How they split up responsibilities within the family is a personal choice, and nothing to do with what people around may think. But if we had to really apportion credit, mothers should get more credit than they do. They have a tougher job, and more constituencies to balance. 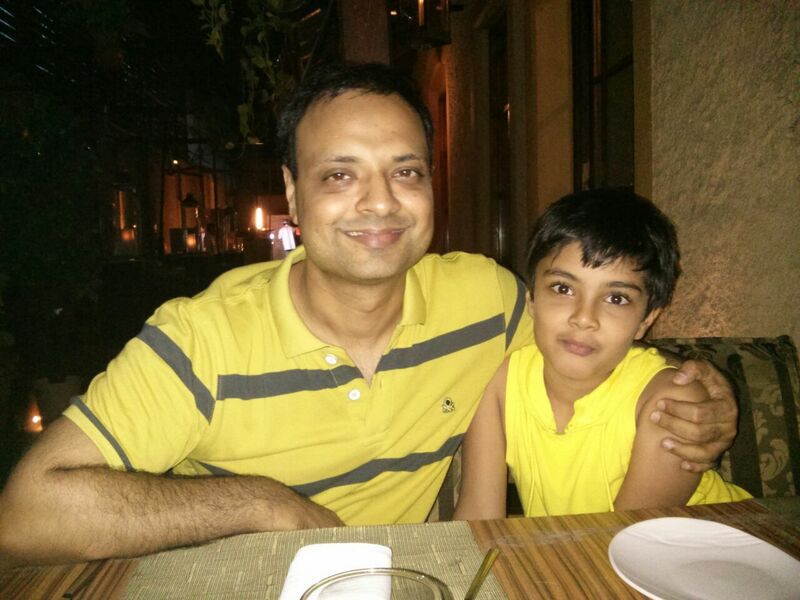 Ashish Gupta, is a dad to a handsome 8-year-old boy. Who has inspired you more in your life, your mom or dad and why? My father has inspired me the most. He has always set difficult goals for himself and has met them. He has taught to keep the nerves and to remain composed in the most challenging circumstances. Most importantly, he has passed on value system to me and has ensured that I become a capable person with good values. I do not believe in anyone getting any credit. Parenting is a responsibility and not a task. As a father what are your responsibilities towards your child and how do you share them with your spouse? To ensure that the kid grows into a successful man, both on personal as well as professional front. I focus on doing basic things right and try to ensure that my child learns the importance of the basic things. 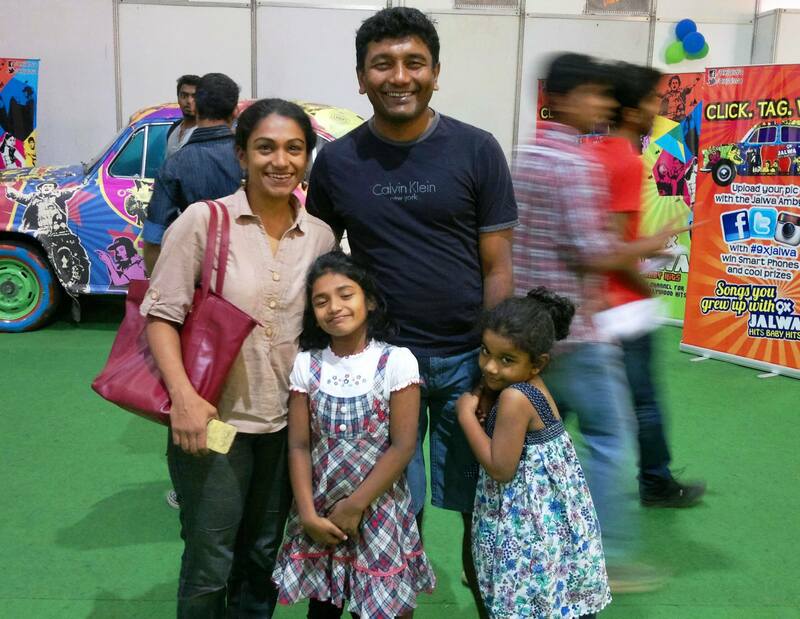 Praveen Thomas, is one of the most dedicated dads I know. He has his hands full raising his two beautiful daughters. “things I have to do”. When I am home everything else is lesser priority. I like that. Both parents had significant say in my being what I am but I would give my ma the credit for keeping me honest to my studies. Achin Gupta is a dad to a 8-year-old boy and a sweet baby girl. Providing for them in terms of good education, good quality of life and a sense of security & good value system above all making them become good human beings! We share all of these between me and my wife. The idea is to spend as much time as possible with the kids and being part of their lives, their games and their interests. What is one thing in parenting that you have not adapted from your parents and why? I guess importance of values in life is what I learnt from my parents and would love to pass on to my kids. 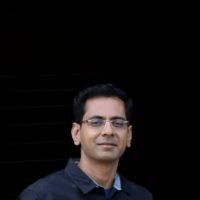 However, the one thing which is different is that with changing times, importance of discipline and strictness has come down relatively. We now try to give the child more freedom in making choices and decide on their interests. My Dear Father, thank you for Always giving me cricket advise! 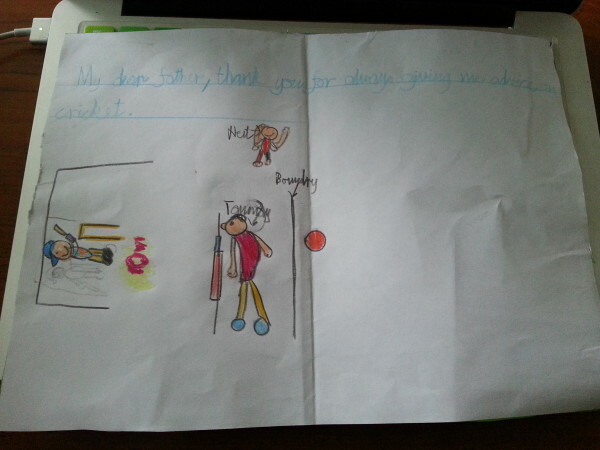 A beautiful card by Achin’s Son to him! I want to thank all the fathers for contributing to this post. It’s so nice to read a man’s point of view once in a while. You’re our heroes ! Happy Father’s Day to all of you :)! « My Dad My Inspiration!